Plastic turned parts are our passion. This is precisely why we founded our company in 2009 as a plastics turning shop. In 2012, we have now also included plastic milled parts in our production spectrum, in order to be a strong partner in all areas of plastic cutting for our customers to always get the best out of them. 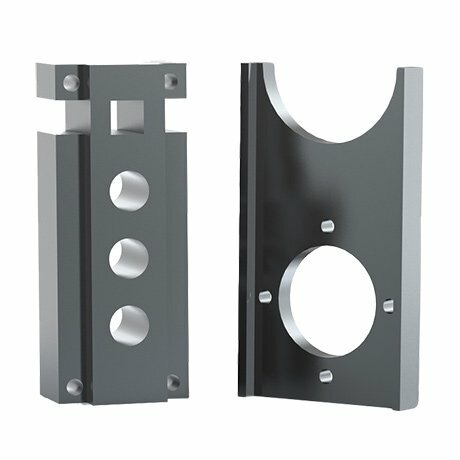 In the last eight years we have established ourselves on the market and can fall back on a great expertise in the field of CNC turned parts made of plastic. We are able to continuously develop ourselves through continuous training. Use our experience for your benefit. Each year we process about 50 tons, or 31,000 meters of plastic rods and plates. This corresponds to an area of 15 football pitches. We produce approx. 5,000,000 parts per year and deliver them to our satisfied customers. This corresponds to approx. 20,000 plastic turned and milled parts per working day. Since the company was founded, the number of countries to which we export our products has grown to 10. From local company to global exporter. Technical plastics have been on the advance for years and it is impossible to imagine life today without them. In many areas, plastics have already replaced metal or glass as a material. Since not all plastic parts can be produced by injection moulding, e. g. because of the fact that the requirements for concentricity cannot be met or because of the low number of pieces, the tool costs are uneconomical, various parts are produced on lathes. Exactly in this area we are located and manufacture plastic turned parts on our 15 CNC lathes, starting from a quantity of one up to 1,000,000 pieces. We manufacture according to your drawings or prepare drawings for you. Due to our modern machinery, there are almost no limits to the shapes and machining operations. We process a wide variety of materials for plastic cutting. These include e. g. POM, PA6, PTFE, PEEK, which differ in their chemical composition and therefore have special properties. We would be pleased to advise you on the right material for your CNC turned parts made of plastic. Quality is the most important pillar of a company and we treat it as such. We attach the greatest importance to the demands of our customers and manufacture in accordance with drawings, regardless of whether surface quality or dimensional accuracy, because quality is when the customer comes back and not the product. Plastic milled parts have become an important part of the industry today, as plastics play an important role in technology. The versatility of the plastics in particular means that there is something for every application, such as weather resistance, electrical insulation and thermal insulation. 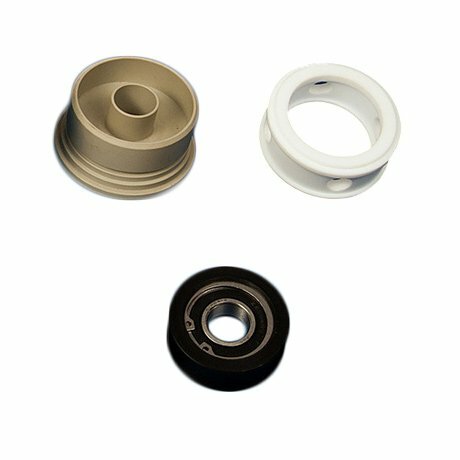 In addition to the CNC turned parts made of plastic, the milled parts are an important part of our product range and have therefore been included in 2012 in order to be able to offer you the complete spectrum of plastic machining. We have incorporated our accumulated experience with plastic turned parts into the production processes for plastic milled parts in order to meet the requirements for quality and customer demands directly. Do you have questions about certain plastics, or about CNC turned parts made of plastic and plastic milled parts? Then simply use our contact form or give us a call.